​A huge thank you to Jesse Christensen (and his beautiful wife Emma) for performing at our Evening in the Tropics event at the Conservatory on Saturday, January 19, 2019. Jesse has generously donated his talents on a number of occasions, as illustrated in the attached photos. 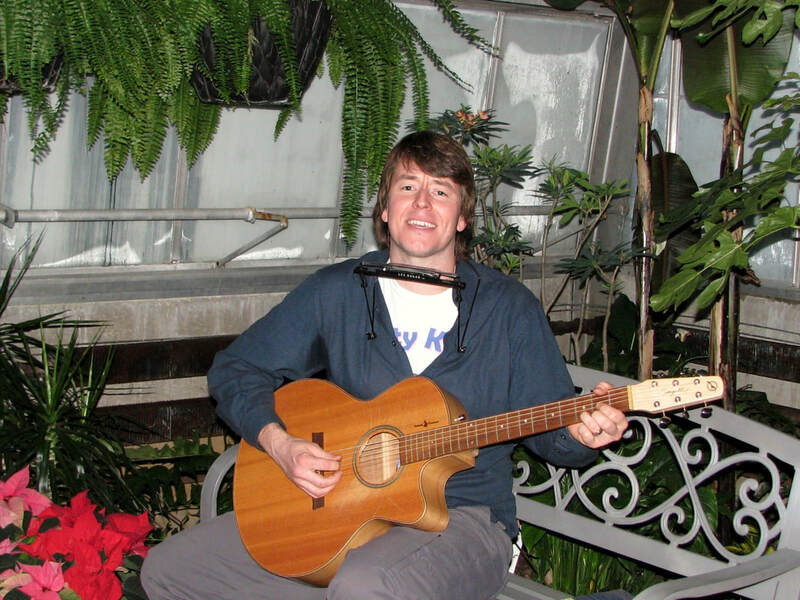 He has a wonderful, mellow voice, a large repertoire of songs including Rock, Pop, Folk, Blues and some original tunes, and plays guitar, ukulele and harmonica. Guests are always caught up in his music - singing, dancing and even playing along. He is warm and personable and loved by everyone, including the young ones. If you're ever in need of a musician, he has our highest recommendation. 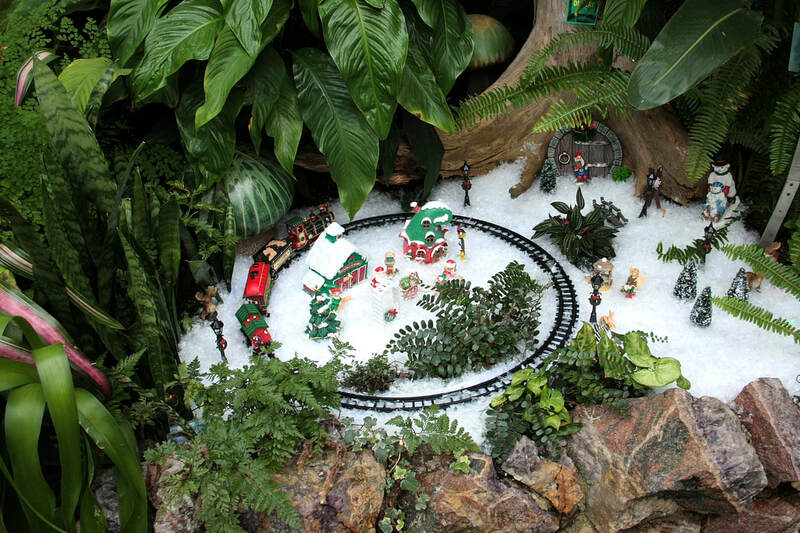 Sunshine & Snowflakes, a Prelude to the Season was held at the Centennial Botanical Conservatory on Saturday, December 1, 2018. 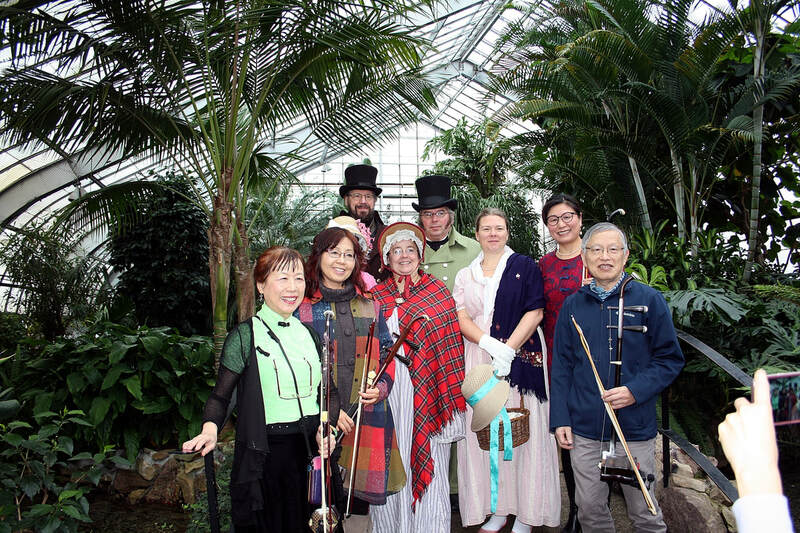 It was an enjoyable and colourful event with music provided by the Thunder Bay Chinese Erhu Musicians and a visit from the Thunder Bay Jane Austin Society added a special touch of nostalgia. 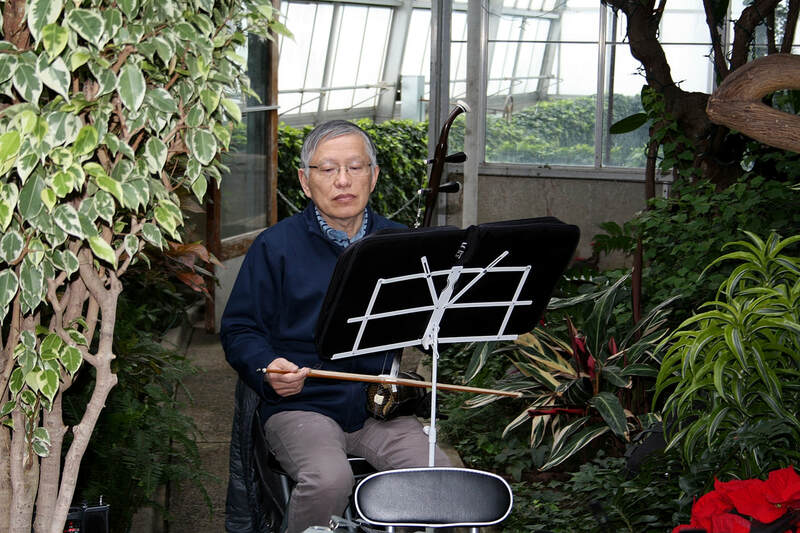 The Friends of the Thunder Bay Conservatory want to express our sincere gratitude to the Chinese Erhu Musicians and to Jesse Christensen and friend for sharing their musical talents. Thanks to Linda Beadow for baking dozens of delicious cookies that the children had such fun decorating. And to the many volunteers who offered their time, talent and baking skills to make the afternoon such a success, we express our deepest gratitude. Many thanks to the Conservatory staff for their dedicated care of the Conservatory's botanical collection, and to the City of Thunder Bay for providing us with this tropical treasure. About three hundred visitors of all ages attended "Ghosts & Goblins in the Garden" at the Conservatory on Saturday, October 27, 2018. Adults and children alike were dressed in spook-tacular fashion. A big thank you to our wonderful volunteers who baked delicious treats, served refreshments, greeted guests at the front door, assisted with the scavenger hunt and helped with set-up and clean-up. A special thanks to Jesse Christensen and friend for their musical contribution. Thank you also to the Conservatory staff for all their hard work in maintaining the Conservatory and its valuable botanical collection. 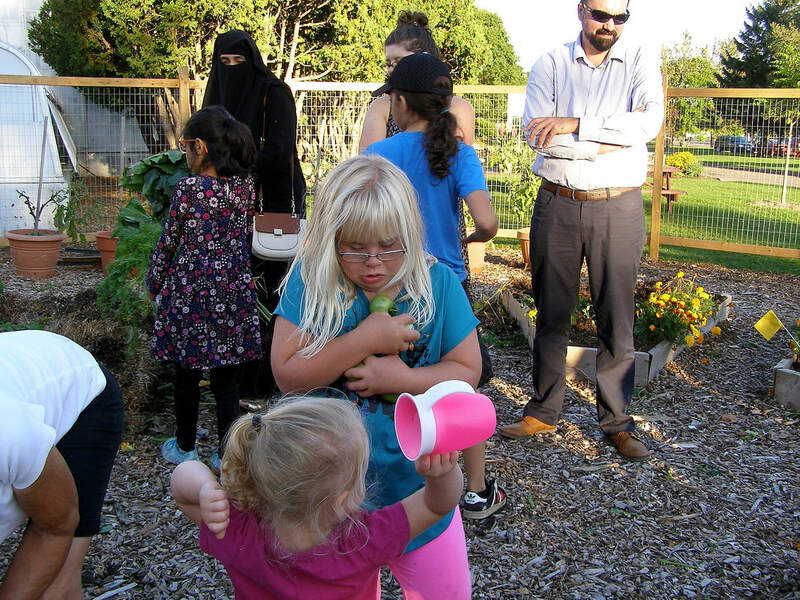 September 13, 2018, more than 30 children and adults gathered to harvest veggies from the Children's Garden at the Conservatory. The garden was planted by the children in May and included onions, potatoes, carrots and marigolds. The harvest, as well as the spring planting, are much loved annual events at the Conservatory and began in 2016. Thanks to all the enthusiastic children and adults who participated. 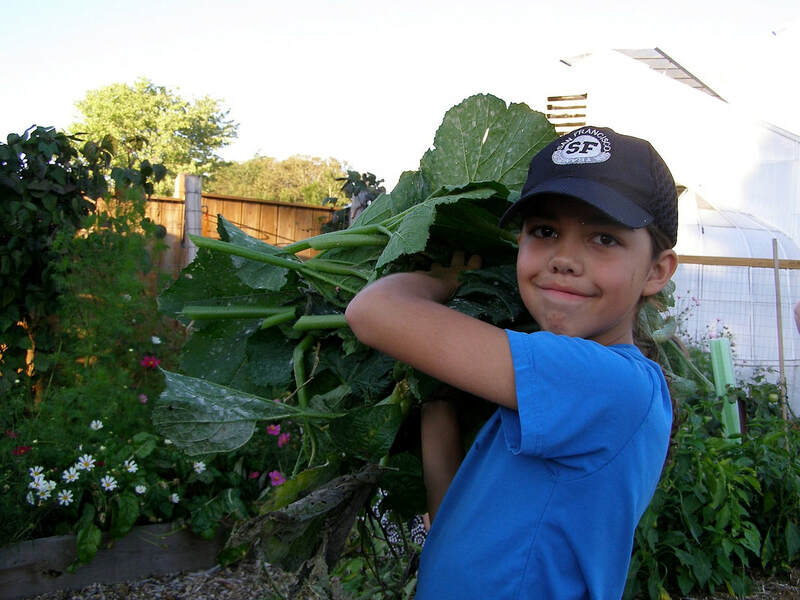 A huge thank you to our wonderful volunteers who helped water and care for the gardens over the summer, and to those who helped with the harvest. ​The Doors Open movement began in France in 1984 and spread throughout Europe then North America, Australia and elsewhere. It became a national program developed by Heritage Canada, and Ontario was the first province on board in 2002, with Newfoundland and Labrador, Manitoba, Saskatchewan, Alberta and British Columbia following suit. It aims to raise awareness about a community’s built and cultural heritage. On Saturday, September 8th, the Centennial Botanical Conservatory was one of 17 sites participating in Doors Open Thunder Bay 2018, and the Friends of the Thunder Bay Conservatory hosted the event. Historical photographs were on display throughout the facility that showed the beginnings of this gem in our midst. Volunteers, Donna McKay, Joy Pangrac, Ming Wu and Susan Prince, and Master Gardeners, Lynda Bobinski, Holly Rupert, and Carole McCollum, were on hand to provide information and answer any questions. ​The 3rd annual Children's Garden Planting Afternoon was held Saturday, May 26, 2018 in the Conservatory Community Garden. The children planted potatoes, carrots, onions and marigolds. Big thanks to our volunteers and to all the children and adults who participated. Thursday afternoon, April 19, 2018, the Friends hosted “Afternoon Tea With Friends” at the Conservatory. 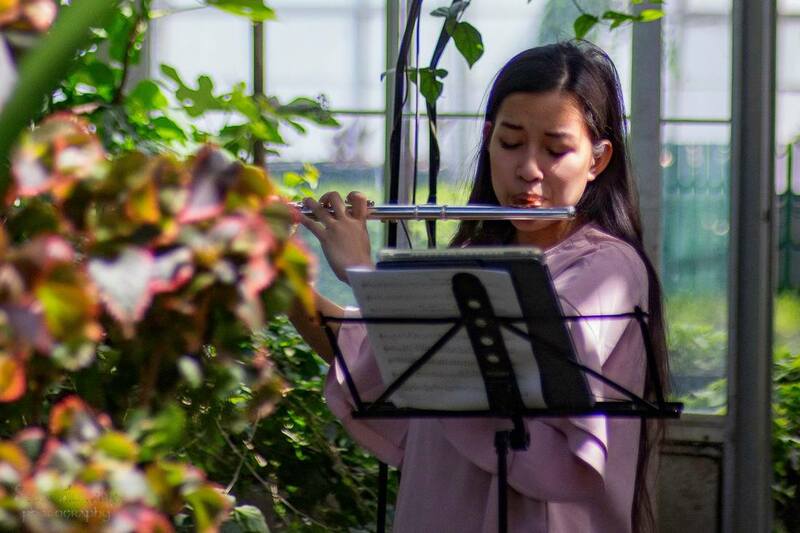 We were honoured with the presence of flautist Marinda Tran who performed exquisite music to the delight of everyone present. We extend our deepest appreciation to Marinda. 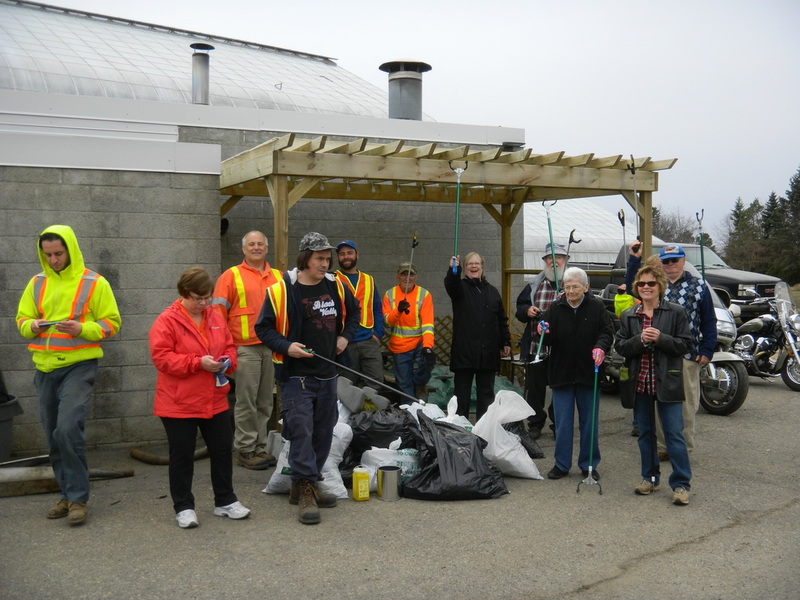 Many thanks to our volunteers who helped with setup, cleanup, refreshments and so much more – Debbie Hatzis, Janice Horgos, Pearl Lunn, Donna McKay, Sean Murphy, Allen Nunn and Joy Pangrac. Thank you also to everyone who provided delicious baking for the event – Catherine Atkinson, Emese Boyko, Betty Heath, Judy Nesbit, Allen Nunn and Joy Pangrac. We are grateful for the hard work and dedication of Conservatory staff in caring for our beautiful and much-loved botanical garden. The Spring into Life event held March 18, 2018 at the Conservatory was a happy and successful gathering. Conservatory beekeepers, Rudy and Lois Kuchta were in attendance with a fascinating bee and honey display. 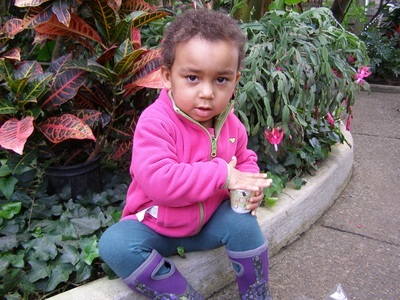 Ren d’Esterre developed and presented an interactive children's program on food plants growing in the Conservatory. Paige Ready assisted. Ren’s engaging presentation included fruit sampling and was a highpoint of the day. The wonderful musical talents of Andrew Coates, Eleanore Wieser and Emma Rudahigan were appreciated by everyone. ​Many thanks to our faithful crew of volunteers who baked, greeted guests, manned the refreshment and registration tables and helped with setup and take down – Catherine Atkinson, Susan Barnes, Allan Hall, Evelyn Kinsman, Kathryn Loftus, Pearl Lunn, Judy Nisbet, Allen Nunn, Janet O'Connor, Joy Pangrac, Leslie Schelling and Carol Turgeon. We once again commend the Conservatory staff for their dedication to and care for our city's beautiful Botanical Conservatory. The enthusiastic support of the citizens of Thunder Bay who attend our events and regularly visit the Conservatory continues to encourage us in our efforts. 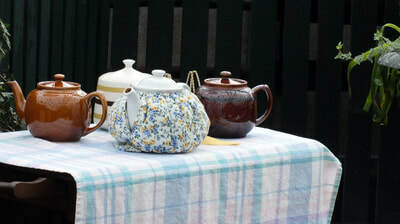 Watch for Afternoon Tea with Friends on Thursday, April 19. 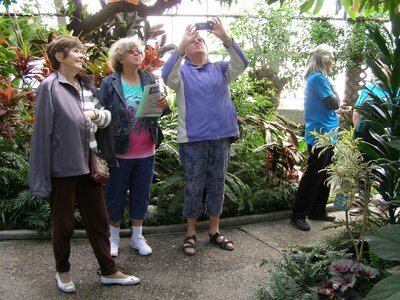 ​On Sunday, January 21, 2018, the Friends of the Thunder Bay Conservatory once again hosted An Afternoon in the Tropics, much to the delight of all who attended. Music was provided by local artist, Stephanie Skavinski, an international plant search provided entertainment and challenge to children and adults alike and tropical punch, coffee and delicious baking were served to the appreciative crowd. Thanks so much to our bakers and everyone who helping with set up, clean up, the refreshment table, children’s activity, and front door. A very special thank you to Stephanie for entertaining us with her beautiful music. And we cannot forget to acknowledge the wonderful Conservatory staff for the care they devote daily to maintaining the beautiful Conservatory collection and facility. 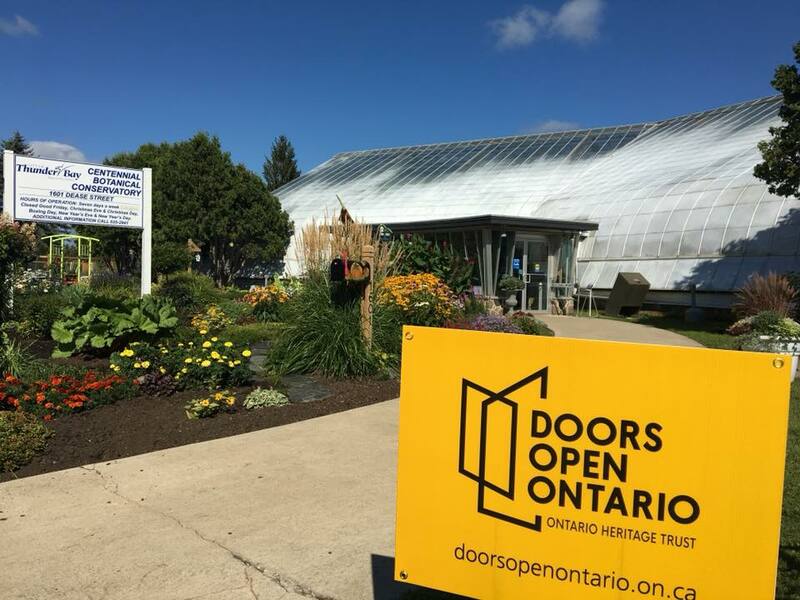 ​On Saturday, November 18, the Friends of the Thunder Bay Conservatory hosted a celebration of the 50th anniversary of the Centennial Botanical Conservatory. Over 400 guests of all ages were in attendance. Friends Co-Chair, Sharon Sidlar, introduced special guest speakers: MP Don Rusnak; Councillor Frank Pullia, representing the Mayor's Office and the City of Thunder Bay; and Mike Dixon, Supervisor of Forestry and Parks. Friends Historian, Monika McNabb, introduced Rob McCormack, former Secretary Manager of the Fort William Board of Parks Management, who spoke of the development and early history of the Conservatory. A beautiful anniversary cake was cut by Rob McCormack and Sharon Sidlar. ​Cake, cupcakes, coffee and punch were served to a very appreciative crowd. Talented musicians, Glenn Jennings and Jesse Christensen, entertained visitors. Children coloured birthday cards and hung them proudly in the entrance to the Conservatory. 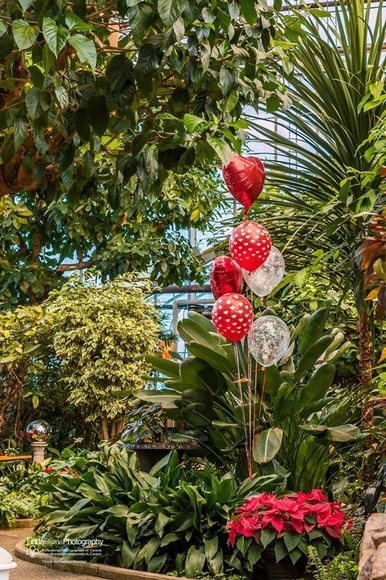 Conservatory staff had decorated the Conservatory with anniversary balloons among the beautiful plants and blossoms. They presented guests with a piece of Conservatory history in the form of a little potted ivy plant from the original ivy growing in the Seasonal Room since the opening in 1967. We extend sincere appreciation to our special guest speakers. Thanks so much to Glenn Jennings and Jesse Christensen for sharing their wonderful music with us. Thanks to all our dedicated volunteers who assisted throughout the day. Very special thanks go to the hard working and dedicated Conservatory staff who daily care for this botanical treasure. The Friends of the Thunder Bay Conservatory would also like to express our sincere gratitude to the members of the Lakehead Antique Car Club for their generous donation presented at the 50th Anniversary Celebration. A free Children's Garden Planting Afternoon was held Saturday, June 17, 2017. The children planted climbing beans, peas, potatoes, carrots, onions and more. Thanks to all the children and adults who participated. Special thanks to Karen Nadaeu and the staff at the Conservatory for seeding and growing bedding plants for the Children's Garden. ​Thursday afternoon, June 1, 2017, the Friends of the Conservatory hosted a Tulip Blooming Celebration at the Dutch-Canadian Friendship Tulip Garden on the grounds of the Centennial Botanical Conservatory. Marilyn Stinson gave introductory remarks on behalf of the Friends followed by addresses from Jeanetty Jumah of the Dutch Canadian Society and Mike Dixon, Supervisor of the Conservatory. The Macgillivray Pipe Band opened and closed the event. Special thanks to Karen Nadeau and the Conservatory staff for designing and preparing the maple leaf themed tulip bed and to our dedicated group of volunteers who baked and served at the event. Thank you to all who assisted and participated. We are grateful to the Canadian Garden Council for choosing our Conservatory as a recipient of a Friendship Tulip Garden, Vesey’s Bulbs for their special gift of 700 red and white tulip bulbs, and to all those organizations that helped make the program possible. Our garden is one of 140 Friendship Tulip Gardens planted across Canada in 2015 to celebrate the gift of 100,000 tulip bulbs sent to Canadians by the Dutch royal family in 1945. The gift of tulips is a symbol of appreciation for Canada's hospitality to the members of the Dutch royal family during the Second World War and the major role that Canadian troops played in the liberation of the Netherlands. 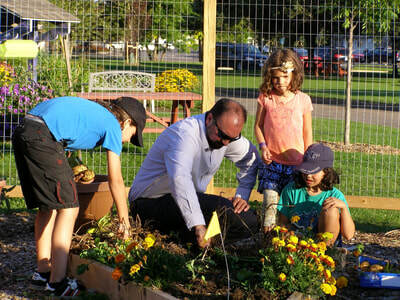 ​Come dig, plant and learn! 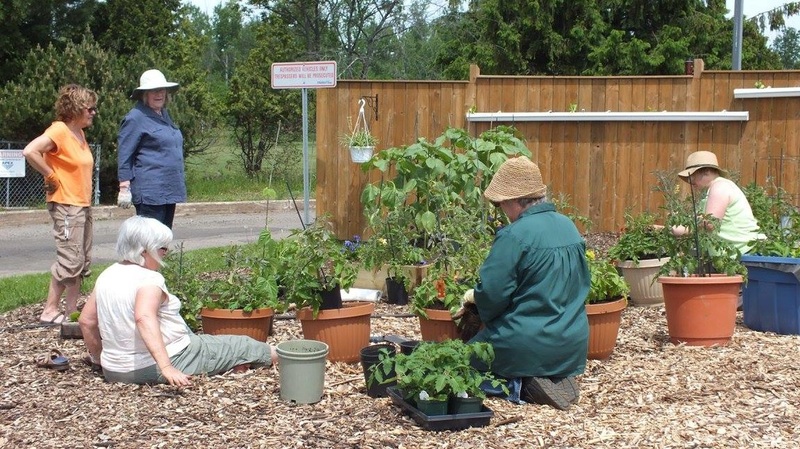 Sunday, May 28, 2017, the Master Gardeners Thunder Bay, in partnership with the Friends of the Conservatory, presented the first of two free educational garden sessions in the Conservatory Community Garden, titled Come Dig, Plant & Learn. The first session covered composting basics, veggie garden planning, and straw bale and raised bed garden preparation. 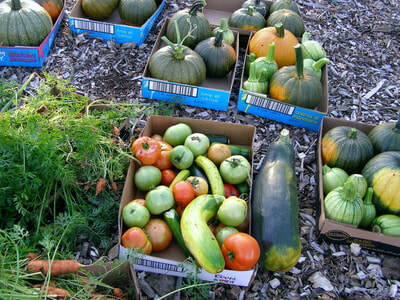 On Sunday, June 11, the Master Gardeners demonstrated veggie garden planting. We are so grateful for all the information shared by Holly and Hazel of the Master Gardeners. Thank you to all who participated. Special thanks to Karen Nadeau and the Conservatory staff for seeding and growing the wonderful veggies for the Community Garden. 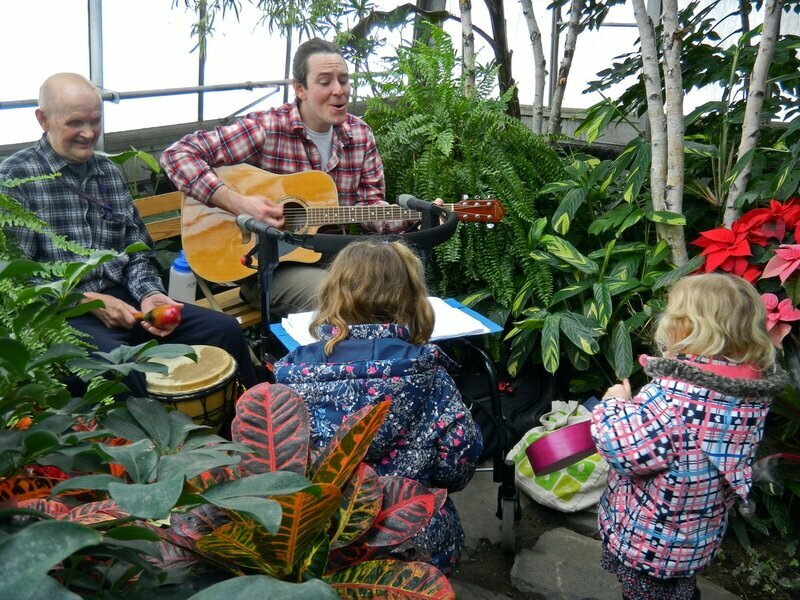 On Sunday March 19, 2017, the Friends of the Thunder Bay Conservatory welcomed over 300 visitors of all ages to our third annual Spring Into Life celebration at the Conservatory. Close to 100 children were in attendance and they happily searched for ladybugs among the tropical foliage, planted sweet pea seeds to take home, filled themselves with goodies from the refreshment table and sang, danced and played along with the ever-popular and personable Jesse Christensen. Thanks so much to our dedicated volunteers who assisted with the afternoon, Evelyn Kinsman, Theodora and Debbie Hatzis, Lesli Schilling, and friendly greeter, Alan Hall. It wouldn’t be the same without the wonderful baking generously provided by Catherine Atkinson, Allen Nunn, Judy Nisbet, Margie Atkinson Parker, Lesli Schelling, Susan Barnes, Linda Beadow and Kathryn Loftus, greatly enjoyed by all, especially the little ones. Thanks again to Jesse Christensen and friend for entertaining young and old with their songs and different instruments. 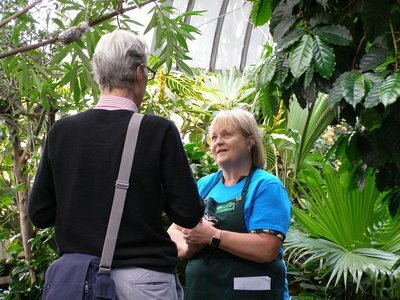 And, as always, our sincere gratitude to the Conservatory staff for all the work they do to maintain and present the beautiful botanical collection. Details of upcoming events will be posted on this website, the Friend's Facebook page and Twitter account. On Sunday afternoon, February 12, 2017, the Friends celebrated Valentine’s Day by hosting Love is in Bloom at the Conservatory. Over 200 people of all ages enjoyed the warmth, the fragrant air, homemade baking and live music amid red powder puffs, amaryllis, and lemon, orange, banana, papaya and mango trees. Thank you to all who came out on this blustery winter’s day. We are very grateful to Jesse Christensen and his musical companion for sharing their talents and encouraging the children to play instruments along with them. Jesse had young and old alike singing and dancing in the aisles! Many thanks to our volunteer bakers, Kelly Legros, Jennifer Wyma, Susan Barnes, Catherine Atkinson, Evelyn Kinsman, Joy Pangrac, Kathryn Loftus and Allen Nunn, who continue to support our events with their superb desserts. Special thanks to Linda Beadow who baked 108 heart shaped cookies for the children to decorate. We are also grateful to our other great volunteers who help ease the workload in staging these events, Joy Pangrac, Janet O'Connor, Evelyn Kinsmen, Theodora and Debbie Hatzis, Lesli Schilling, and our friendly greeter, Allan Hall. As always we truly appreciate the city’s Conservatory staff for their support and for the love and care they give daily to this amazing botanical collection. Thunder Bay's Centennial Botanical Conservatory was rocking to the music of DJ/producers Aticka, Jader Ag, and Matt Migz on Saturday afternoon, January 21, 2017. 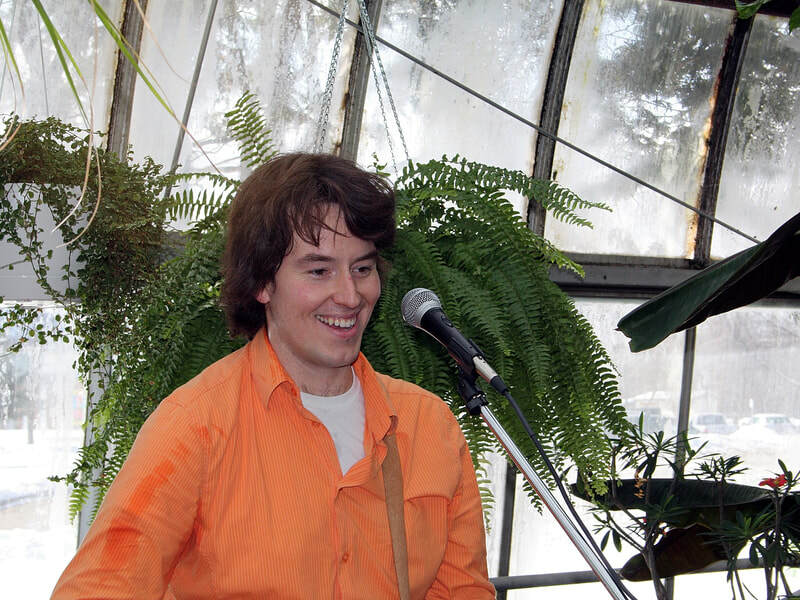 Local performer, producer and DJ, Matt Migliazza, partnered with the Friends of the Thunder Bay Conservatory to present the event, simply titled The Green House. The afternoon was a great success with more than 300 people attending, many of them young people enthusiastically dancing in the aisles. We are so grateful to the performers and especially to Matt Migliazza for arranging the event. Thank you to our wonderful volunteer bakers, Allen Nunn, Catherine Atkinson, Emesha Boyko, Evelyn Kinsman, Jennifer Wyma, Joy Pangrac and Susan Barnes for providing the sweet treats. They were a big hit. Our tropical punch was provided by Allen Nunn. Thanks to Allan Hall, Catherine Atkinson, and Joy Pangrac for all their help. We also want to express our sincere gratitude to Tyler at the Conservatory for the valuable assistance he has given to the Friends over the past months. He is going to be missed. The executive of the Friends of the Thunder Bay Conservatory has received reports that a local radio station announced that "The Green House" event, held in partnership with Matt Migz, was limited to those 19 years of age and over and that ID was required. The Centennial Botanical Conservatory is a city owned public space and all of our events are open to everyone. "The Green House" had over 300 people of all ages in attendance, from infants to seniors. We deeply regret that misinformation was aired and hope that it didn't keep anyone from attending. 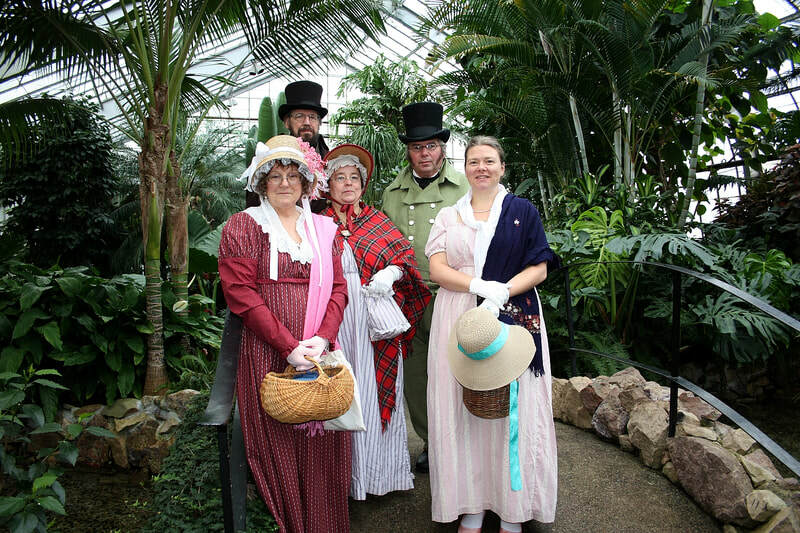 The second annual Starlight & Snowflakes, a Prelude to the Season was held at the Centennial Botanical Conservatory on Saturday, December 10, 2016. The tropical warmth and flora, the seasonal displays, twinkling lights, hot apple cider and delicious baking delighted young and old. Children had fun decorating snowflake and snowman ornaments and posing for photographs in Santa's sleigh. Music by Jesse Christensen and friend had us singing and dancing along. The door prize was won by Nathan P.
The Friends of the Thunder Bay Conservatory want to express our sincere gratitude to Jesse Christensen for providing the evening's musical entertainment. A huge thank you to our volunteers, Joy Pangrac, Carol Turgeon, Kathryn Loftus, Evelyn Kinsman, Allen Nunn and our new executive member, Cassandra Eckman. Thanks so much to the folks who donated baking: Jennifer Wyma, Kathryn Loftus, Sandra and Allen Nunn, Evelyn Kinsman, Catherine Atkinson, Margie Parker, Joy Pangrac, as well as the young woman and her family who brought goodies along to the event! Many thanks to the Conservatory staff for their beautiful seasonal displays and for their dedication and care of the Conservatory and its collection. And last, but not least, thank you to the City of Thunder Bay for providing this Centennial legacy, a welcoming refuge of tropical warmth and beauty for all. November 18, 2016, was the 49th Anniversary of the opening of the Centennial Botanical Conservatory in Thunder Bay. Due to warnings of imminent severe winter weather and out of concern for public safety, the Friends of the Thunder Bay Conservatory cancelled planned celebrations. Sincerest gratitude goes out to the Conservatory staff and to our wonderful volunteer bakers for all their hard work in preparation. We have been informed by credible sources that while the blizzard raged outside, the fairies and gnomes partied like it was 1967. 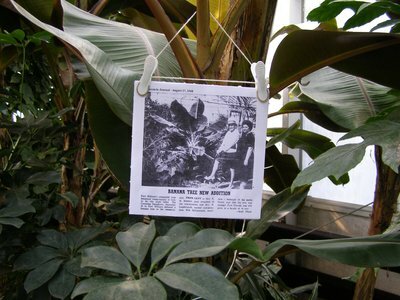 Happy 49th birthday Centennial Botanical Conservatory! Photos courtesy of Monika McNabb, Kathleen Ott, Katherine Caroline and Sandy Nunn. 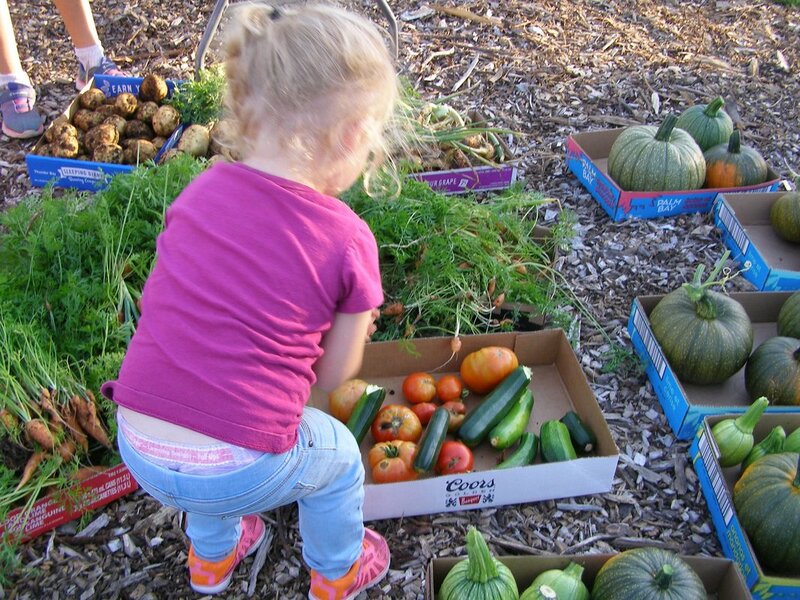 On Wednesday evening, August 31, 2016, children and parents came together to harvest vegetables from the children's gardens at the Conservatory. 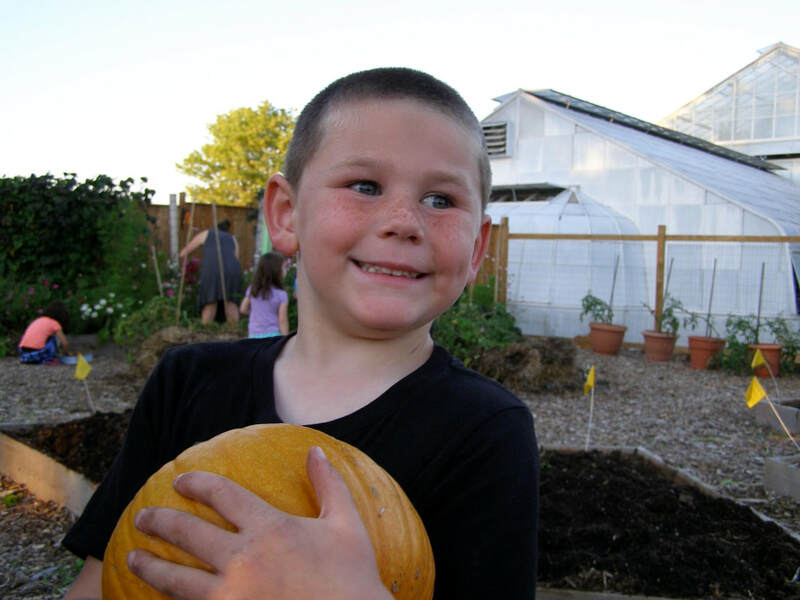 The gardens were planted by children in June and the abundant harvest included onions, potatoes, squash and tomatoes. The children chose a selection of fresh vegetables for their families and the remainder was left at the Conservatory for visitors to take home. 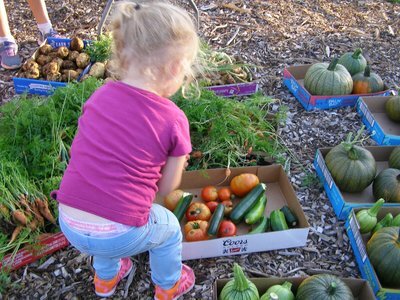 The community and straw bale garden, located to the west of the Conservatory, will continue to be watered and maintained until all the vegetables are harvested. We encourage you to check out these gardens while visiting the Conservatory and if something is ripe, please help yourself! Thank you to all our volunteers who helped to build, plant, water and care for the gardens over the summer and to the Master Gardeners for their assistance. Members of the executive spent a very warm afternoon on National Garden Day, June 17, 2016, planting in the Community Garden at the Conservatory. 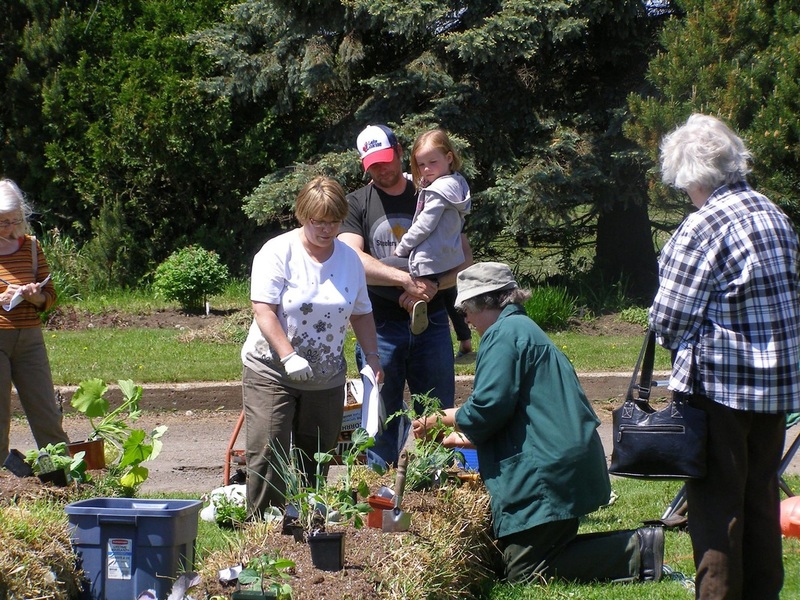 On a warm and sunny Sunday, June 12, 2016, the Conservatory grounds were bustling as the planting of the community garden got underway. 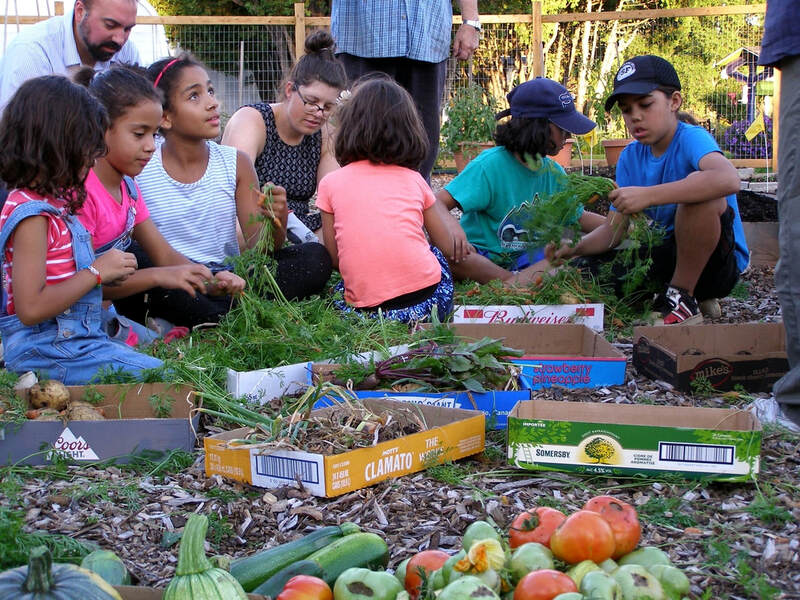 Thank you to everyone who came out to help and learn about different gardening techniques including straw bale, raised bed, rain gutter and container gardening. Special thanks to Holly, Hazel, Kim, Susan and Ralph from the Thunder Bay Master Gardeners. We truly appreciate all their expertise and support! Thank you also to our other volunteers on Sunday: Kathy, Joy, Theodora, Debbie, and to Jennifer, whose cookies were yummy. Special thanks to our very talented construction crew, Rohan, Allen and Werner as well as to Emesha, Sean, Kathryn and John for their assistance with bale placement and conditioning. A community garden project of this scale could not have happened without the tremendous support and assistance from the Forestry Division and Conservatory staff, so deepest gratitude to them as well. 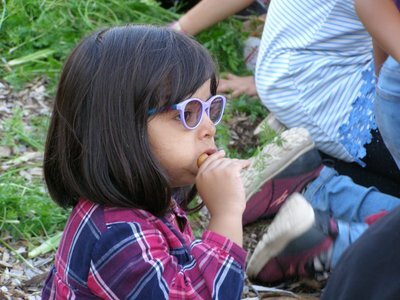 The children had so much fun and did a marvellous job planting flowers, potatoes, and onions. We hope they will return regularly to check on the progress of the five raised beds they planted. 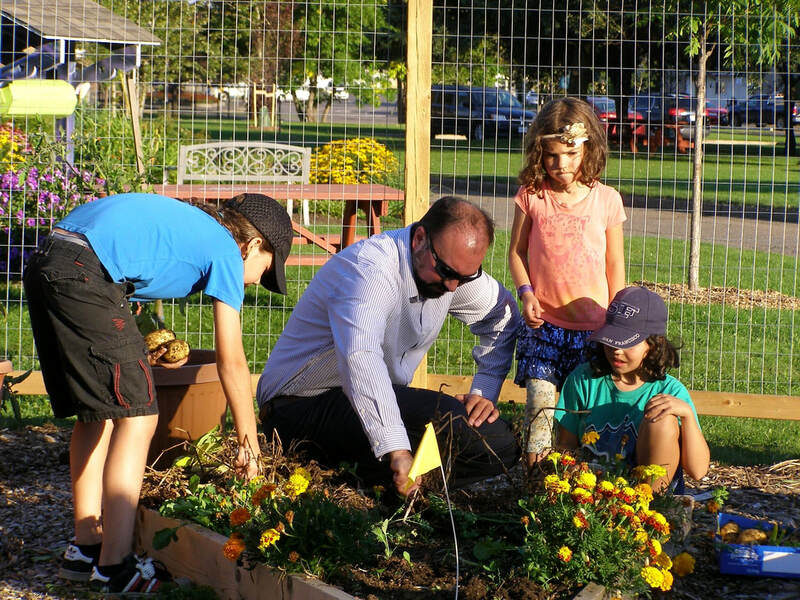 We encourage everyone to take a stroll around the Conservatory grounds this summer, have a picnic, relax on a park bench and feast your eyes on the pollinator garden, the bee hives and our interesting and beautiful community garden. 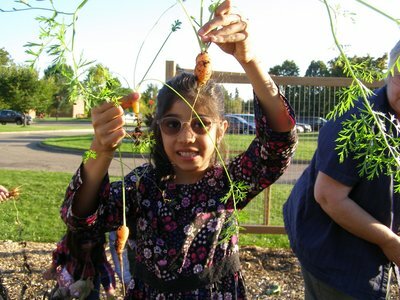 We will post on the Friends Facebook page when veggies are available to be shared and enjoyed! 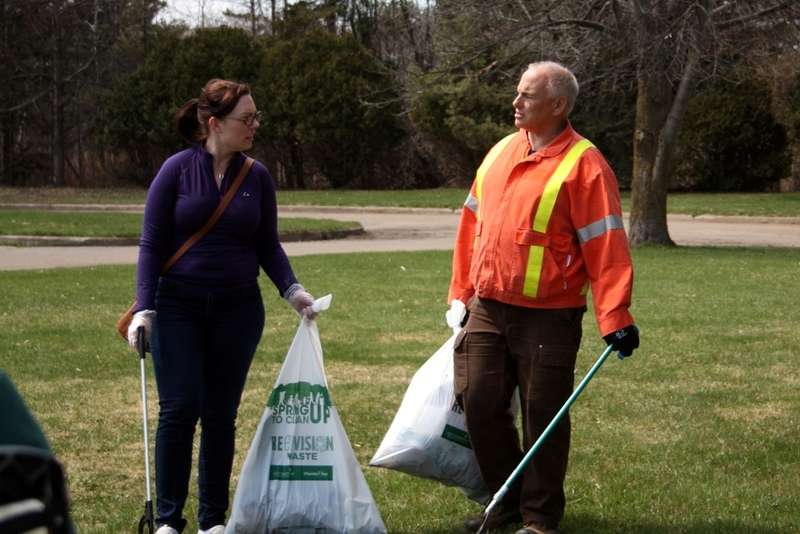 On Friday, May 6, 2016, Friends of the Conservatory volunteers joined Forestry and Conservatory staff members for EcoSuperior's annual Spring Up to Clean Up campaign working to tidy up the Conservatory grounds as well as the road and entranceway to the Chapples Golf Course trails. The event cleared up a winter's worth of litter on a sunny afternoon and strengthened bonds between staff members and the Friends group. Thanks to Kathleen Ott, Chair of the Friends of the Conservatory for the delicious home baked cinnamon rolls. On Thursday April 21, 2016, the Friends hosted an afternoon tea at the Conservatory that was enjoyed by approximately 300 people. Many of the visitors were from local assisted living facilities and people with disabilities for whom this was a welcome tropical get-away on a cool spring day. Many thanks to the Conservatory staff for their help in dressing the Conservatory up for the event and to our ground crew of volunteers – Allan Hall, Allen Nunn, Sean Murphy, Evelyn Kinsman, and Catherine Atkinson. Compliments abounded on the delicious baking that was provided with the refreshments and we greatly appreciate this significant contribution to help make our events a success. Thank you to all the bakers. As always, we commend the Conservatory staff for their dedication to, and care of, our beautiful botanical garden. The gardening basket door prize was won by Doreen L-S.
For information on past and future Friends’ events and activities, please check out our website or watch for postings and updates on Facebook, Twitter and Instagram. Spring into Life on Sunday, March 20, 2016, was another successful event hosted by the Friends. Thanks to the good work and dedication of Conservatory staff, tulips, hyacinth, lilies and hydrangea added beauty, colour and fragrance to the well kept tropical plants some of which were also blooming. Children had fun planting nasturtium seeds to take home and of course enjoyed all the wonderful treats at the refreshment table. Our greeter, Allan Hall with the Horticultural Society gave out sweet pea plants which hopefully survived the cold journey to their new homes. Many thanks to Cassandra Eckman and Debbie Hatzis for helping with the children’s activity, to our talented bakers, Jennifer Wyma, Kathryn Loftus, Mike and Peggy Scott, Nancy Serediak, and Catherine Atkinson for providing sweet delights and to Susan McMillan, Theodora Hatzis and Kathryn Loftus for helping with the refreshment table. 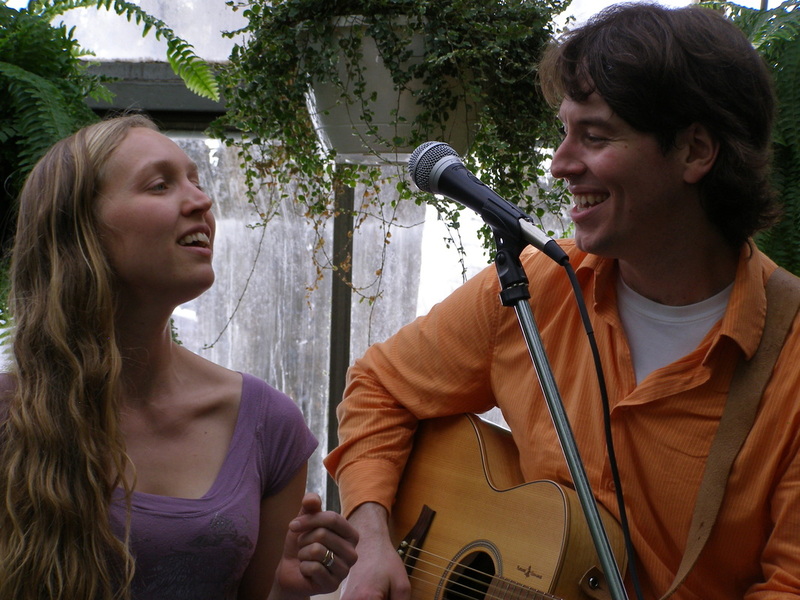 Special thanks to Jesse and Emma Christensen for sharing their musical talent and encouraging children to play along with them. The attendance prize, tickets to Exploding Gardening Myths: Separating Fact From Fiction, donated by the Thunder Bay Master Gardeners, was won by Nicole M.
We continue to be grateful for the amazing and enthusiastic support of the citizens of Thunder Bay who now visit the Conservatory often and attend our events. Watch for Afternoon Tea with Friends on Thursday, April 21st and other exciting activities being planned for spring and summer! 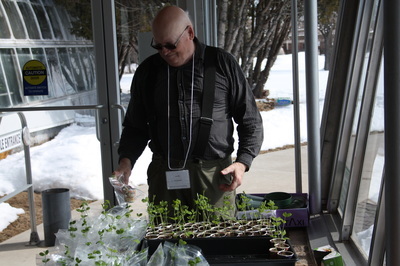 Allan Hall handing out sweet pea seedlings. Freya and her newly planted nasturtium. Sunday afternoon, February 28, 2016, the Friends of the Conservatory participated in Science North's "Science in the City" at the Bora Laskin Building at Lakehead University. We had an instructional display from last summer's very successful straw bale demonstration garden and we also helped our young visitors plant sweet pea seeds. We promised that we would provide more detailed guidelines for growing them and transplanting them in the spring. 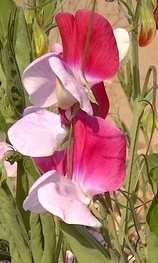 The following website has very good instructions: Horticulture Magazine - Starting Sweet Peas from Seed. *Note that since the sweet pea seeds were planted in paper cups they can be planted outdoors without removing the pots/cups so as not to disturb the roots. 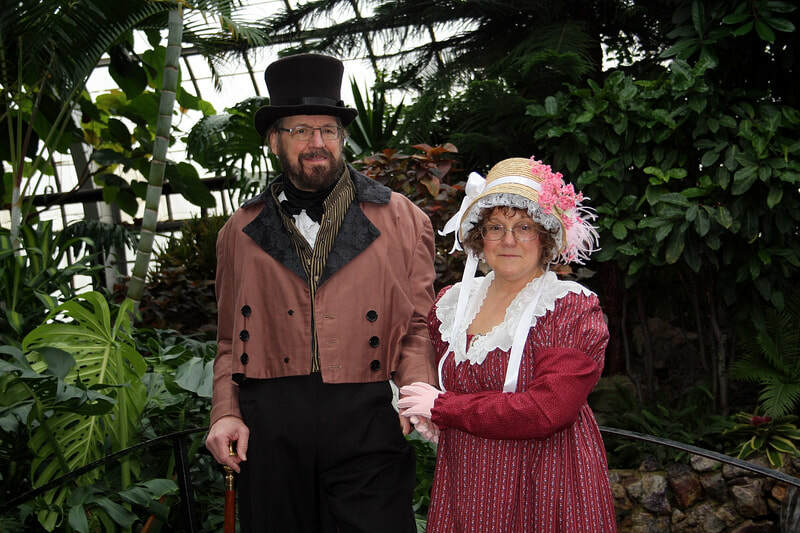 Four hundred visitors braved the bitter cold on February 13, 2016, to attend Valentine's Eve at the Conservatory. What amazing support! A big thank you to Matt Flank for sharing his musical talents and to his brother Dave who took over when Matt needed a break! It was wonderful to see and hear the children singing along! We also want to thank the following for their baking contributions: Jennifer Wyma, Evelyn Kinsman, Megan Clark & Stirling McIntosh, Lorna Olson, Nicole Croes, Peggy Scott, Susan Barnes, Nancy Serediuk, Jeanette & David Lightwood, and Kathryn Loftus. 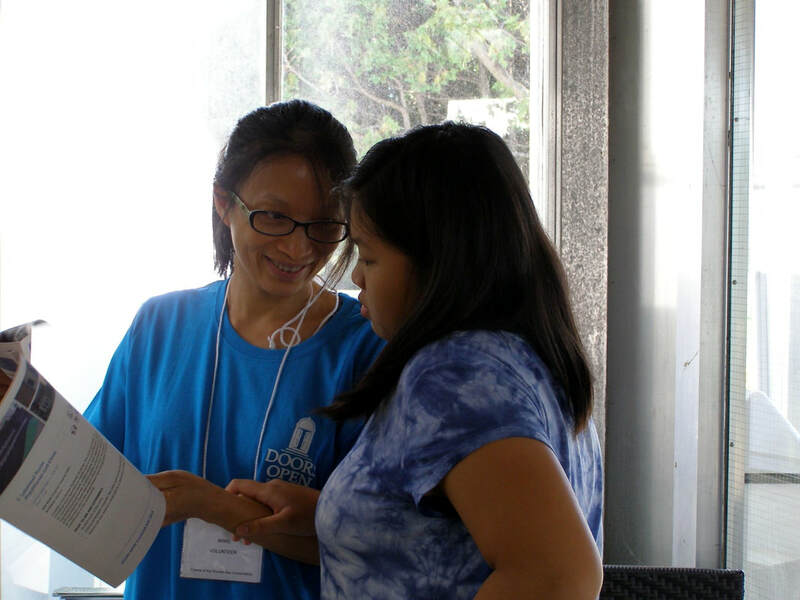 Deepest gratitude to our wonderful volunteers: Susan, Marlene, Debbie, Theodora, Evelyn, Sean, Allen and Werner. Thank you also to the Conservatory staff for decorating and presenting the tropical house in such a fine manner and especially to Tyler for all his help that evening! The Attendance Draw was won by Theresa H., visiting from North Bay. Watch for information about our upcoming event “Spring into Life” to be held Sunday, March 20th. 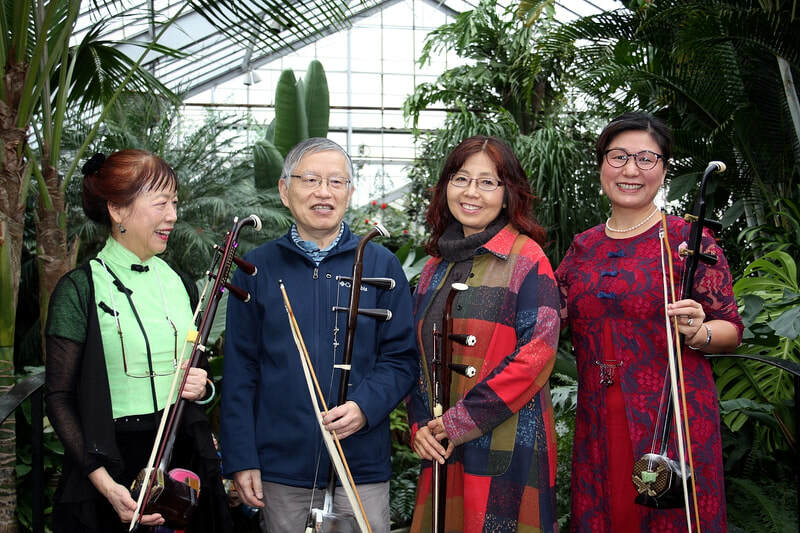 On Sunday, January 17, 2016, the Friends of the Thunder Bay Conservatory hosted their first public event of 2016, the second annual celebration of An Afternoon in the Tropics. Despite the frigid temperatures Thunder Bay responded with great enthusiasm and more than 400 people of all ages attended. 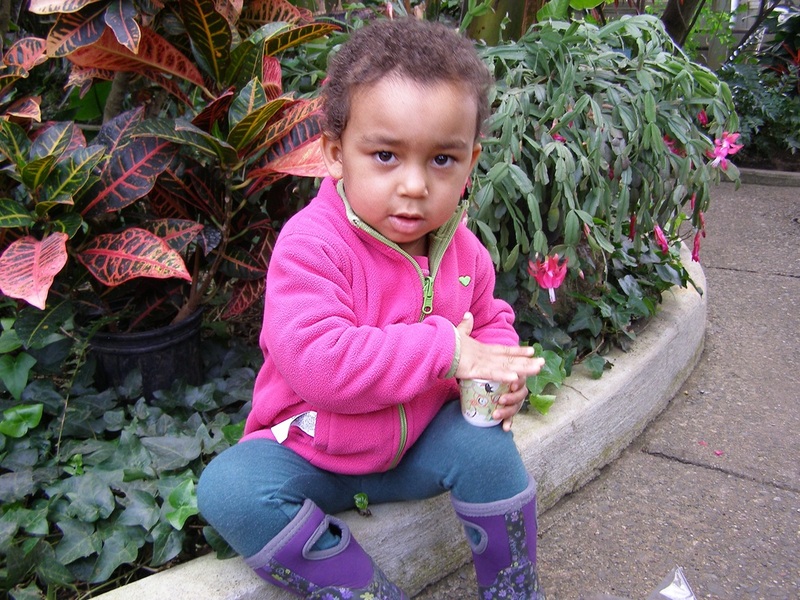 Over 100 children participated in a scavenger hunt identifying Conservatory flowers and fruit. The attendance prize, a potted pony tail palm, was won by Stirling M.
Thank you to all the hard working volunteers who helped make this event such an outstanding success, including Sharon Hyder and Janet O'Connor at the refreshment table and Evelyn Kinsman at the registration table. Thanks also to Jennifer Wyma, Evelyn Kinsman, Sandy and Allen Nunn, Sharon Sidlar, Kathryn Loftus and Monika McNabb, for their donations of delicious baked treats. As always, the Conservatory staff must be acknowledged with gratitude for the daily care they devote to maintaining the beautiful Conservatory collection and facility. Starlight & Snowflakes, a Prelude to the Season. 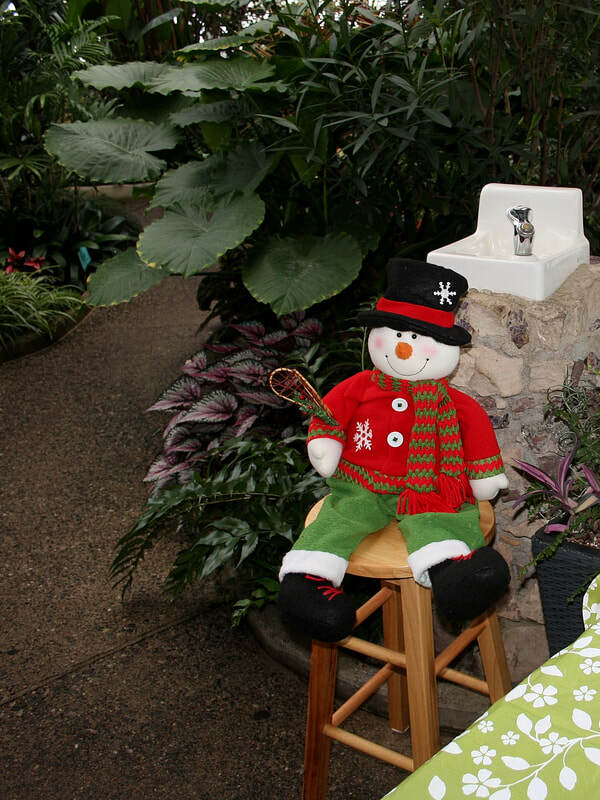 Starlight & Snowflakes, a Prelude to the Season was held at the Centennial Botanical Conservatory on Saturday, November 28, 2015, with close to 200 people of all ages coming out to enjoy this beautiful facility. The aroma of hot apple cider wafted through multicoloured blossoms and twinkling lights, mingling with the sounds of live music by Lucanus Pell. Seventy three children had fun decorating delicious homemade star cookies and posing for photographs in Santa's sleigh. Our beautiful door prize was won by Marie M.
The Friends of the Thunder Bay Conservatory want to express our sincere gratitude to Lucanus Pell for providing the evening's musical entertainment. Thanks to Linda Beadow for baking dozens of star cookies for the children to decorate and to the many volunteers who offered their time and talent to make the evening such a success. 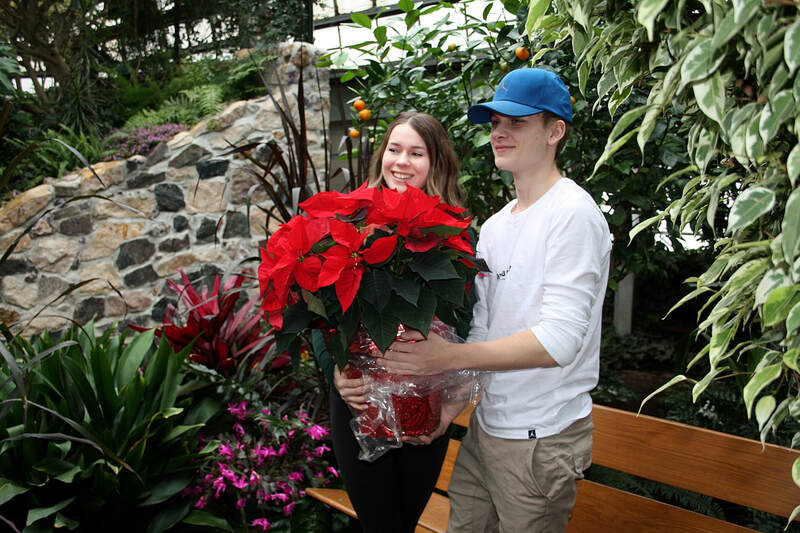 Many thanks to the Conservatory staff for the gorgeous seasonal displays and for their dedication to the care of the Conservatory and its collection, and to the City of Thunder Bay for providing us with this treasure. Our Conservatory is the only public greenspace in all of Northern Ontario where families can spend a chilly winter evening relaxing in a warm, tropical environment. Photos courtesy of Sean Murphy, Kathleen Ott & Allen Nunn. The Friends of the Thunder Bay Conservatory were honoured to host the Dutch-Canadian Friendship Tulip Garden Planting Ceremony at the Centennial Botanical Conservatory Thursday afternoon, October 15, 2015. The Macgillivray Pipe Band opened the event with the Port Arthur Branch #5 Royal Canadian Legion providing the Colour Party. Kathleen Ott, Chair of the Friends of the Thunder Bay Conservatory gave introductory remarks followed by addresses from Mayor Keith Hobbs; Jeanetty Jumah with the Dutch Canadian Society of Thunder Bay; Mike Dixon, Supervisor of the Conservatory; and Captain George Romick with the Lake Superior Scottish Regiment. They spoke about the rich history that Canada and the Thunder Bay area share with the people of Holland; about the young soldiers of the Lake Superior Regiment (Motor) who served in Holland during the war, some making the ultimate sacrifice; about the many war brides and the new immigrants who followed our soldiers home. Mayor Hobbs, Jeanetty Jumah, Mike Dixon and Karen Nadeau (Lead Hand at the Conservatory), Sandra Nunn (Friends of the Thunder Bay Conservatory), Captain Romick and Kim Treichler (Port Arthur Branch #5 Royal Canadian Legion), each planted a tulip bulb in memory of the first gift of 100,000 tulips from the Dutch Royal Family. Kathleen Ott and the Macgillivray Pipe Band closed the event and guests were invited to plant a tulip and visit the Conservatory for refreshments. We are grateful to the Canadian Garden Council for organizing the program and choosing our Conservatory as a recipient, Vesey’s Bulbs for their special gift of 700 red and white tulip bulbs, and to all those organizations that helped make the Friendship Garden program possible. Our sincere thanks to Mayor Hobbs, Captain Romick, Jeanetty Jumah, Mike Dixon, the Macgillivray Pipe Band and the Port Arthur Branch #5 Royal Canadian Legion Colour Party for assisting with the program. Special thanks to Karen Nadeau and the Conservatory staff for designing and preparing the maple leaf themed tulip bed, the Holland Bakery for providing the delicious dainties, and our dedicated group of volunteers. The Friends of the Thunder Bay Conservatory will be hosting a Blooming Celebration in the spring of 2016 and invite everyone to join us again to see the garden in full splendour. The Friends of the Thunder Bay Conservatory in collaboration with the City of Thunder Bay participated in the second annual Exploring our Routes, September 20th, 2015. 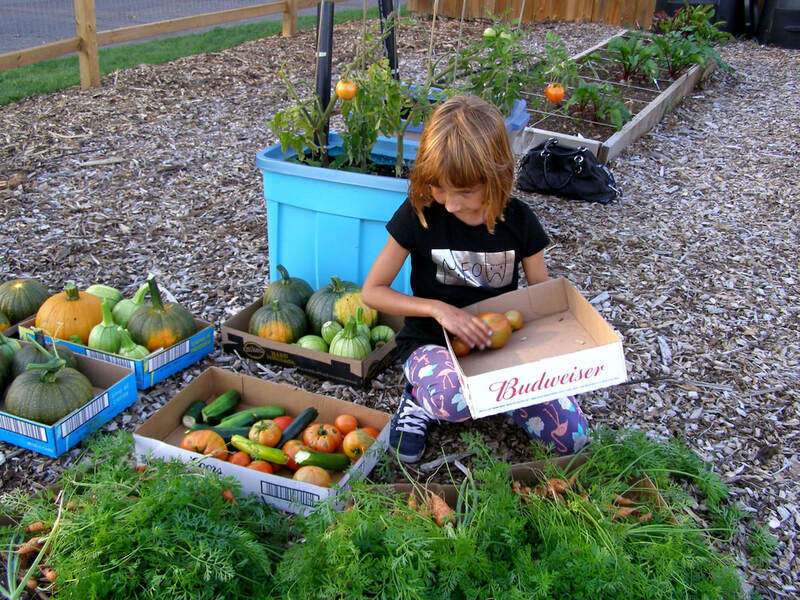 The event was designed to promote active living, outdoor recreation, local food and family fun by exploring the walking and biking paths to and from the International Friendship Gardens and the Centennial Botanical Conservatory. The Conservatory featured indoor and outdoor activities including a honey bee display with Conservatory beekeepers Rudy and Lois Kuchta and the Thunder Bay Beekeepers' Association; straw bale and general gardening advice with Thunder Bay Master Gardeners; live music by Steph Skavinski, an international plants scavenger hunt for the children and free refreshments. We want to express our sincere gratitude to all those who volunteered and participated in making the day such a success. Photos courtesy of Monika McNabb. 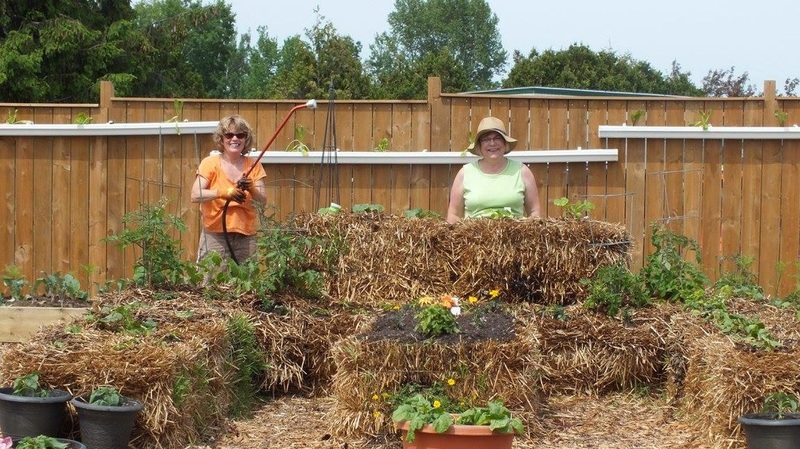 On Sunday, June 14th, 2015, the Friends of the Thunder Bay Conservatory, in collaboration with the Conservatory Staff and the Master Gardeners, celebrated GardenOntario Week by hosting a Community Straw Bale Garden demonstration on the Conservatory grounds. Kathleen Ott and Holly Rupert researched the process and "conditioned" the bales in advance of planting. Kathleen provided handouts and spoke to attendees about the "conditioning" process, the planting method and the benefits of growing in this novel raised bed. With the help of participants, eighteen different varieties of seedlings, two types of bean seeds, white onion bulbs along with pansies and marigolds were planted in the bales. 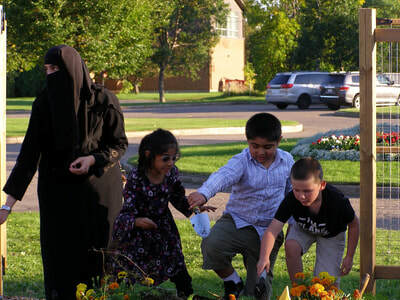 Not to be left out, the children in attendance were provided the opportunity to plant a flower to bring home. Our sincere thanks to Conservatory Staff, as well as Holly Rupert and Ralph Bullough, for their help and expertise. Special thanks to Sasi Spring Water for donating water. Our gratitude, as always, extends to our wonderful volunteers. Please visit the Conservatory grounds throughout the summer to watch the progress of the Community Straw Bale Garden situated just west of the main building. For more pictures and information check out our Friends Facebook page. A more detailed documentation of the process will also be added to the "What's Happening" page of our website. Please watch our Facebook page and the website for future events. 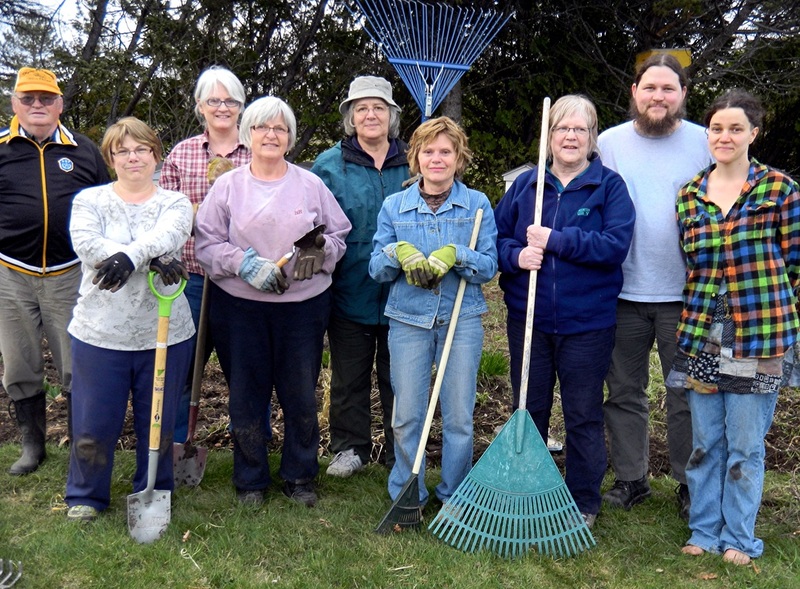 On the evening of May 13, 2015, a group of volunteers from the Horticultural Society and the Friends of the Conservatory teamed up to weed and tidy the perennial bed on the west side of the Conservatory grounds. This is the second year we have jointly undertaken the task. Teamwork at its finest! 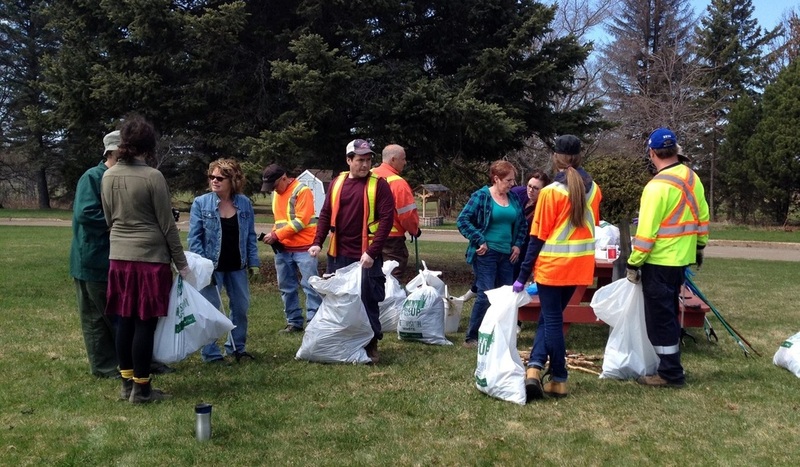 Volunteers gathered again on the mornings of May 19 and May 26 to continue the weeding. A path was cleared through the flower bed to the beehives and the Conservatory will install mulch to cover the path and the bee yard. Clean-ups continued through the summer. Photo courtesy of Kathleen Ott. On Sunday, May 10th, 2015, a very well-attended Mother's Day Celebration was held at the Conservatory with more than 320 guests of all ages welcomed over the 3 hour period. This was the 5th Friends sponsored event and the attendance was the highest we have had yet. 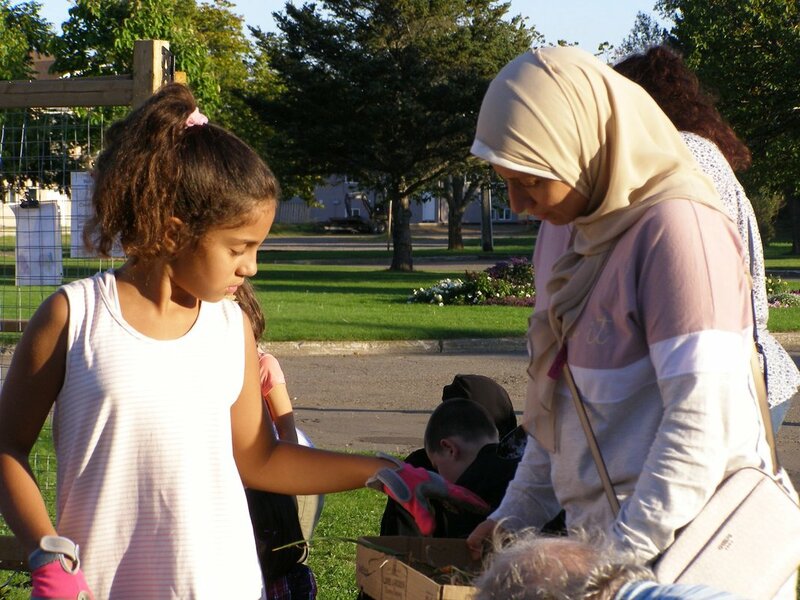 Free refreshments were served to the appreciative crowd and 70 children took part in planting a nasturtium to take home to mom. The door prize was won by Rosa Carina. 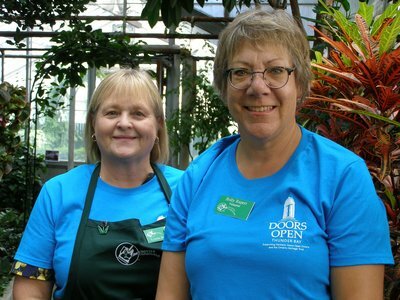 Thank you to our wonderful volunteers for making this event possible and to the Conservatory staff for their hard work and dedication. A very special thank you, as well, to the City of Thunder Bay for providing this wonderful heritage venue. 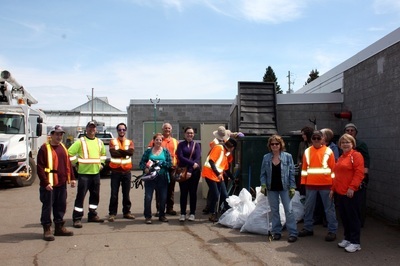 On Friday, May 1st, 2015, Friends of the Conservatory volunteers were paired with Forestry and Conservatory staff members to clean up the Conservatory grounds and Dease Street through to the Chapples Golf Course trail as part of ﻿EcoSuperior's Spring Up to Clean Up﻿ campaign. We were delighted that the event served to spruce up the immediate area and helped develop ties between our volunteers and the hard working staff members. 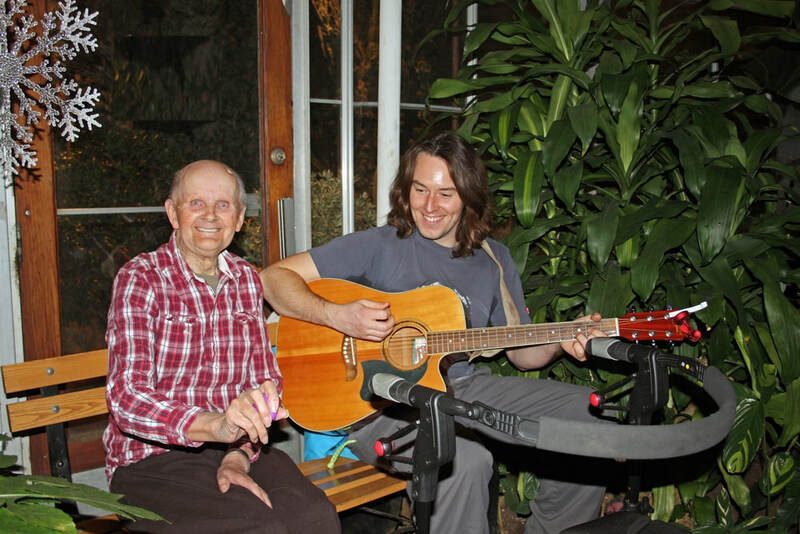 On Friday, April 10th, 2015, the Friends of the Thunder Bay Conservatory hosted a novel two hour program promoting the health and well-being of the community - Soothe Your Body and Soul at the Conservatory. On a pre-registered, no-charge basis, ten minute seated massage sessions were provided by Geoff Medwid RMT and Michelle Reinelt RMT, guided relaxation sessions were lead by yoga instructor Melissa Tempelman and joint mobility routines were conducted by Kathryn Loftus RMT. 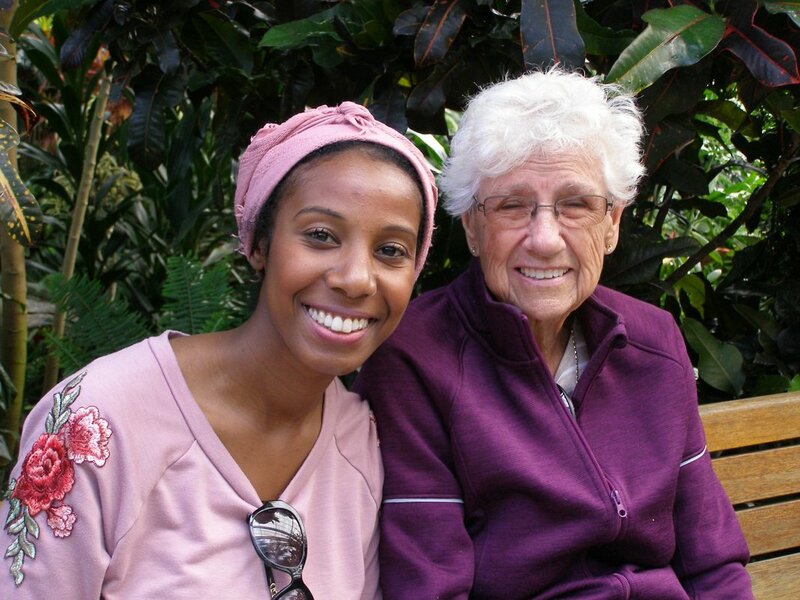 The natural therapeutic environment provided by the Conservatory enhanced the experience for all involved. We want to express our sincere gratitude to Geoff Medwid, Michelle Reinelt, Kathryn Loftus and Melissa Tempelman for volunteering their professional services to the community. 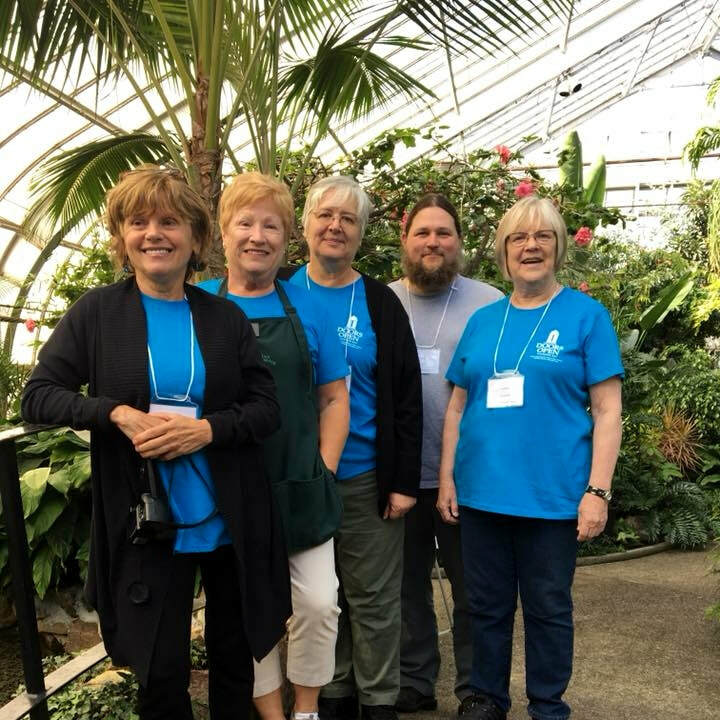 Thank you also to those who assisted with the evening and to Conservatory staff and management for their excellent stewardship of Thunder Bay's Centennial Botanical Conservatory. Watch our web page or the Friends of the Thunder Bay Conservatory Facebook page for details on upcoming events. 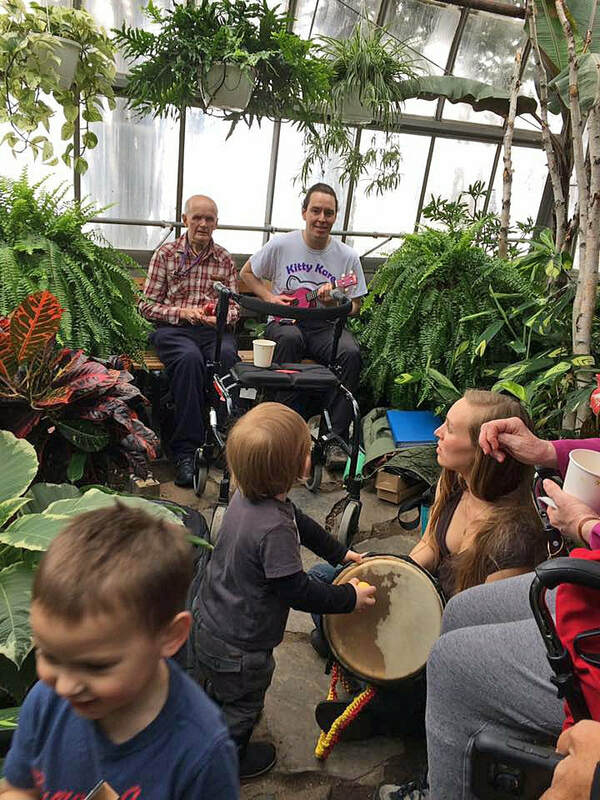 The Friends of the Thunder Bay Conservatory welcomed 250 visitors, young and old alike, to a celebration of spring at the Conservatory on the afternoon of Sunday, March 29th, 2015. In spite of a very snowy start to the day, the Conservatory was filled with spring blossoms and happy people. Our sincere gratitude to the Conservatory staff for all the work they do to maintain and showcase the collection. Thanks so much to our volunteers who assisted with the afternoon and to the bakers who filled our refreshment table with sweet delights, including the talented Jenn Riley of Cake! Thunder Bay. The children's scavenger hunt was very popular, with each young participant taking home Easter treats for their efforts. We appreciate the discount provided by the Frederica Street Bulk Zone. The attendance draw, a gift certificate generously donated by Bill Martin's Nurseryland, was won by Jennifer MacDonald. Watch our web page or the ﻿Friends of the Thunder Bay Conservatory﻿ Facebook page for details on upcoming events. Photo courtesy of Linda Ryma Photography. On Saturday, February 14th, 2015, the Friends hosted a very successful Valentine’s Evening at the Conservatory. Over 130 guests escaped the frigid night air to spend two hours in Thunder Bay's own tropical paradise, a magical experience. Thank you to the dedicated Conservatory staff for creating and maintaining that magic. Our sincere gratitude extends to the wonderful volunteers who assisted with the evening. Special thanks also to Jake Vaillant and Noles Dennhardt for sharing their musical talents! And praise and gratitude to Glen, of European Bakery; Ashley, of A&A Baking; Donnalee Morettin and Allen Nunn for the baked treats. The winner of the beautiful gift basket from Rollason Flowers was Heather Lozinski. John Jordan and Grant Merkley both won hanging baskets from the Conservatory. Thank you to Rollason Flowers and the Conservartory staff for their generous donations of prizes. The children's scavenger hunt book draw was won by Jordan, age 9, and Kaia, age 6. Please watch for more upcoming events and don't forget the Friends of the Thunder Bay Conservatory General Meeting, March 3, 7–9pm at the Mary J.L. Black Public Library. 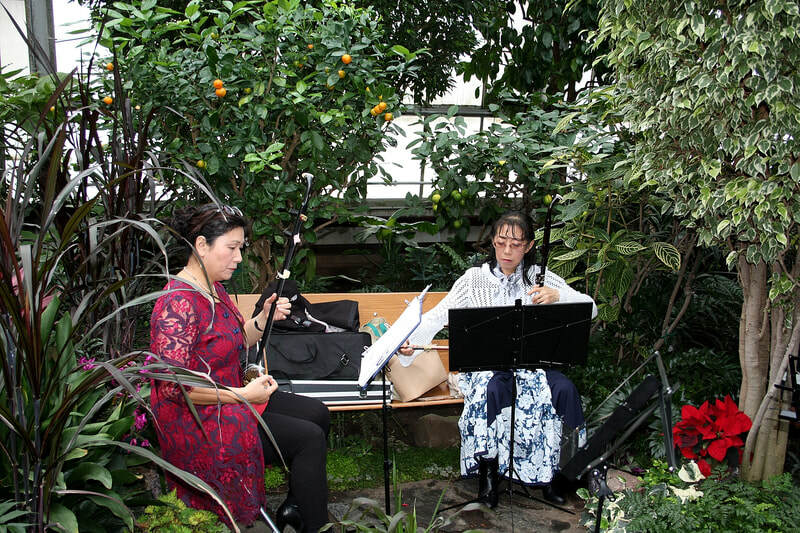 On Sunday, January 18th, 2015, the Friends hosted our very first public event at the Conservatory, An Afternoon in the Tropics. This event was an outstanding success with 300 people of all ages in attendance. The Conservatory and its plants looked magnificent. We commend the dedication and care provided by Conservatory staff members and thank them for all their help in preparing for and hosting the event. Thank you also to the talented Kyle Shushack for his musical performance. The adult door prize, which included a gift certificate for Waking Giant Coffee, compliments of Jay Stapleton, was won by Andrea K. The children's scavenger hunt book prizes were won by Maya (9) and Michael (2). Photos courtesy of Allen Nunn. Thank you to all who volunteered their time in making this inaugural event a success. Please check our website for future Friends events and activities.